With the cancellation of the Wings Over Atlanta Air & Space Expo at Dobbins Air Reserve Base, the Atlanta Air Show has announced it will offer uniformed military free entry into the October 13-14 event at Atlanta Motor Speedway. 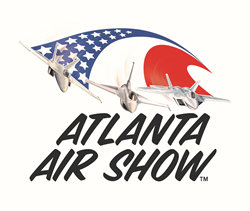 “Given the cancelation of the March show at Dobbins, we want to make sure our men and women in uniform, their families and our veterans still have the opportunity to see a great air show in the local area,” said Bryan Lilley, President of the Atlanta Air Show. With the cancellation of the Wings Over Atlanta Air & Space Expo at Dobbins Air Reserve Base, the Atlanta Air Show has announced it will offer uniformed military free entry into the October 13-14 event at Atlanta Motor Speedway. Additionally, the show will offer military dependents and veterans a 50 percent discount on tickets. Dobbins Air Reserve Base, home of the 94th Airlift Wing, is where Lockheed Martin built every F-22 Raptor in the Air Force active duty and reserve fleet. The Raptor is the most advanced fighter aircraft in the world today. The F-22’s combination of stealth, super cruise, maneuverability and advanced avionics make it invisible to radar and allow it to outperform any other military aircraft. The commander and pilot for the 2018 F-22 Raptor Demo Team is Major Paul “Loco” Lopez. He is the first African-American F-22 Raptor Demo pilot and will showcase the full capabilities of the aircraft. The Raptor’s air show performance defies imagination as it does backflips and stands motionless in mid-air. During high performance turns the Raptor accelerates through air so rapidly that it causes its own low-pressure weather system often creating a cloud around the jet. The U.S. Air Force Reserve Command will support the F-22 Raptor Demo Team’s performance at the Atlanta Air Show with two F-22s from the 44th Fighter Group out of Tyndall Air Force Base in Florida. “The Air Force Reserve is a combat-ready force of nearly 70,000 Reserve Citizen Airmen providing operational capability in missions like the F-22 Raptor, F-35 Lightning II and the F-16 Fighting Falcon for nearly 70 years,” said Col. Bruce Bender, Director of Public Affairs for Air Force Reserve Command. The Atlanta Air Show is the only air show in the nation held inside an “aerial stadium.” The venue offers unique comforts and conveniences that spectators won’t find at any other air show in the country. From ample shade in the concourse area, to real restroom facilities, to food and beverage stands and places to sit down and eat, the event will offer an exceptional spectator experience. Tickets are on sale now for the 2018 Atlanta Air Show. To purchase, please visit AirShowAtlanta.com or call 888-302-5444. Follow the event on Facebook or Twitter for the latest updates and performer announcements.